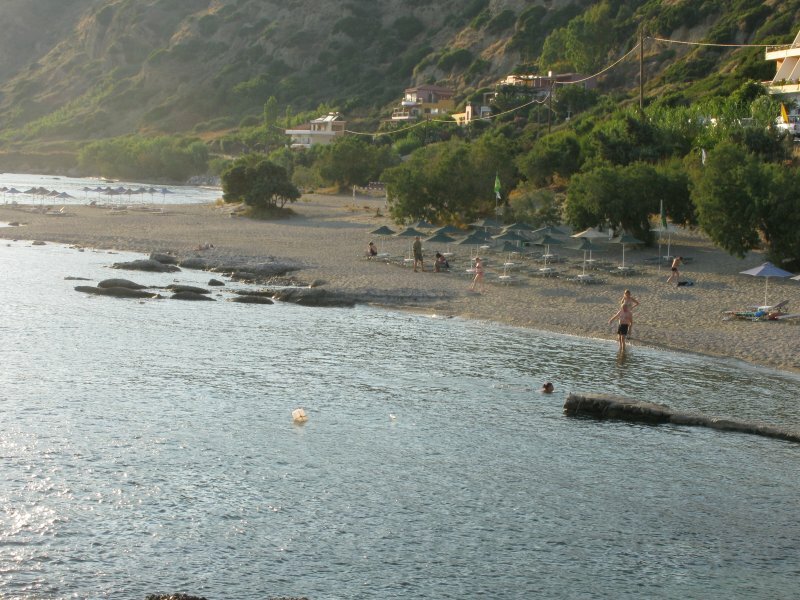 An organized sandy beach close to the fish village of Plakias. The area has strong winds that attracts visitors who wish to experience wind surfing or kite surfing. 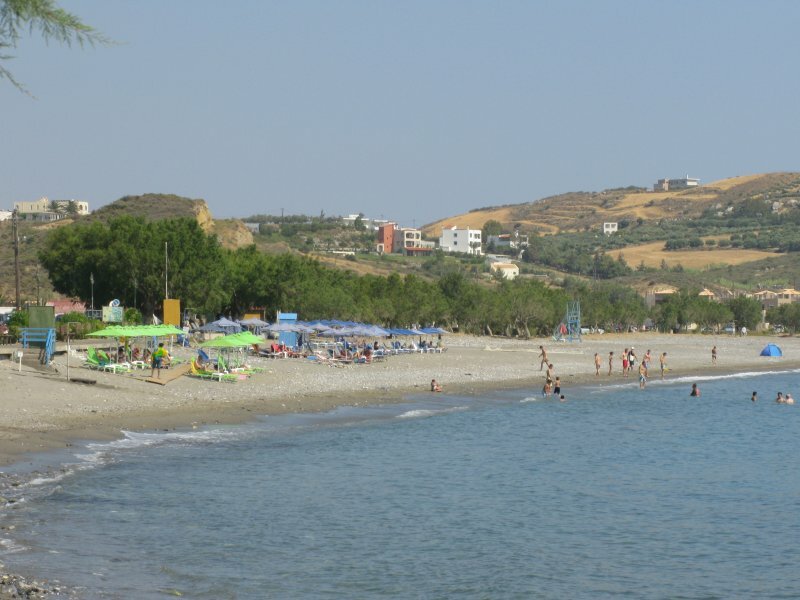 The beach expands along several kilometres from the fish village of Plakias. In the village there are all possible amenities for the traveller including bars, souvenir shops and of course catering facilities. Naturally, one should taste fresh fish at the local tavernas. 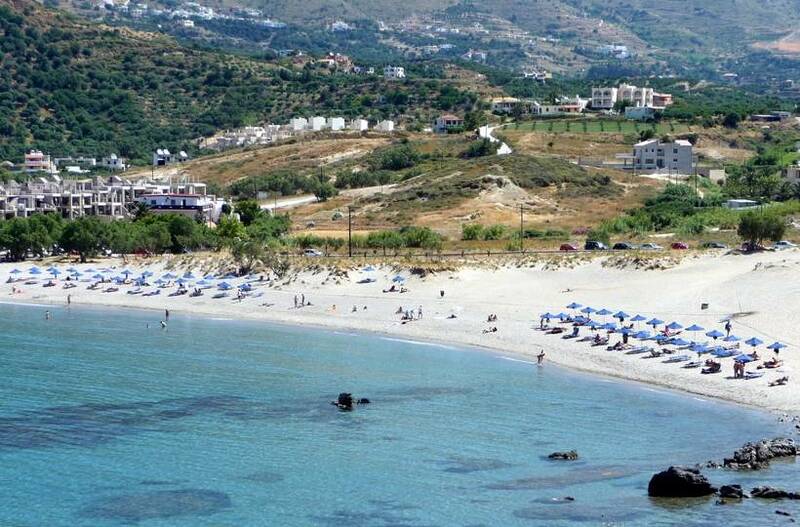 The beach is never too crowded, as it is wide and long, and the tourist development is mild. It is getting quieter, as one walks away from the village towards the other side of the beach. There are strong winds at times, therefore you should be careful when swimming. However, due to the winds, the windsurfers and also people who love sailing prefer this beach. Enjoy walking at the beach and the surrounding area, climb over the hills and enter into the Kotsifu Gorge through the Kotsifos river.